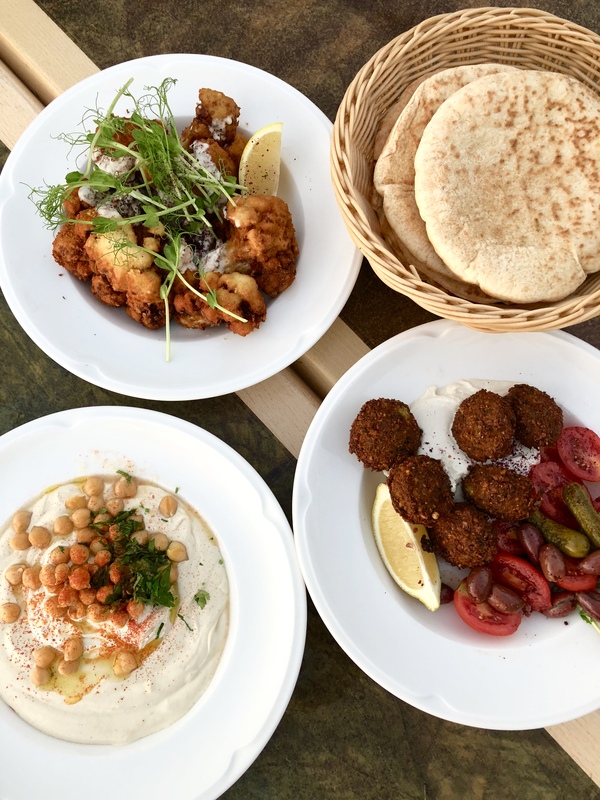 OK my absolutely TOP TIP when you visit Israel – maybe I’m getting ahead of myself, but I reckon you are curious to visit. Am I right? Buy a National Parks Pass. I had no idea they had so many, but there loads with various ruins, waterfalls, forests and deserts. Providing you go to more than three (which you will) it makes sense to buy the pass. When you go off on a hike the important thing is to take loads of water, wear covered shoes, and if you want shade, carry a small umbrella. The Golan Heights area, in the north of the country, was pretty empty of tourists, but the scenery was stunning. 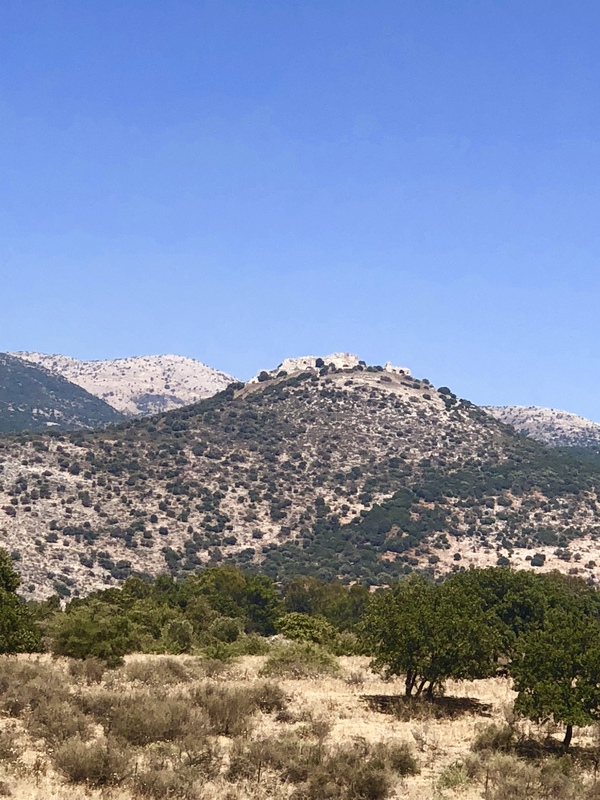 This may have been because it is pretty close to Syria, so most tourists keep away, but we found there was lots to see, it felt safe and we never went closer than 10 miles to the boarder. We even went through an area, which becomes a ski resort in the winter months, with Mount Hermon looming large nearby. Nimrod’s Fortress is a must-see. 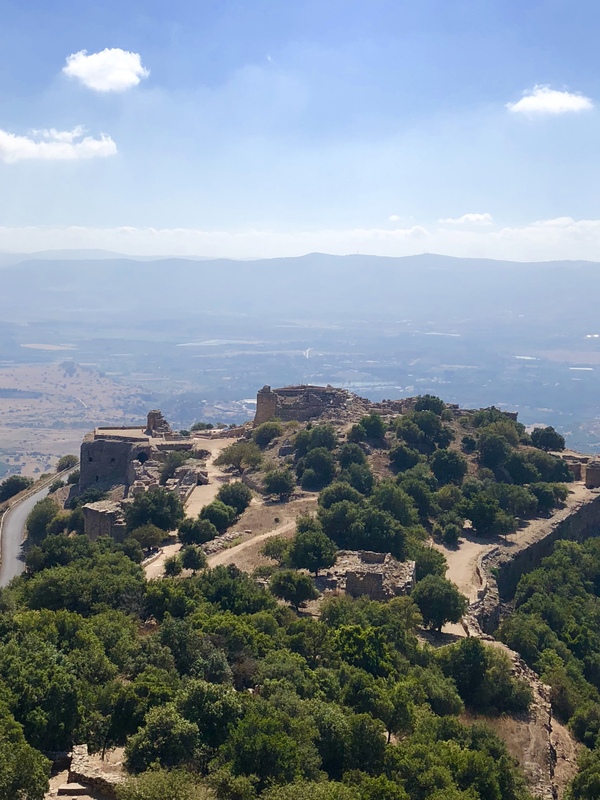 It takes the mantle of the biggest castle from the time of the Crusaders in all of Israel, a mountain-top stronghold spanning back to the 13th century. You can clamber all over it with virtually no one else there. 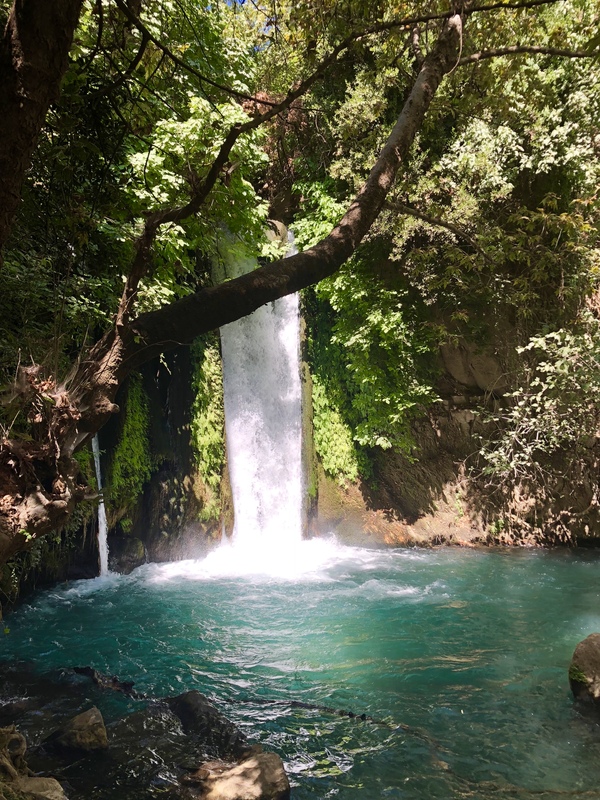 Below the fortress are the Banias forests with rivers and waterfalls. Golan Heights is also perfect terrain for vineyards so if you are up for a bit of wine tasting you might want to consider visiting any of the following: Adir winery, Dalton winery, Pelter winery, Chateau Golan, Galil Mountain winery. We ended up visiting Jezreel which had some really fine wines with a grape that I don’t often come across – carignan. 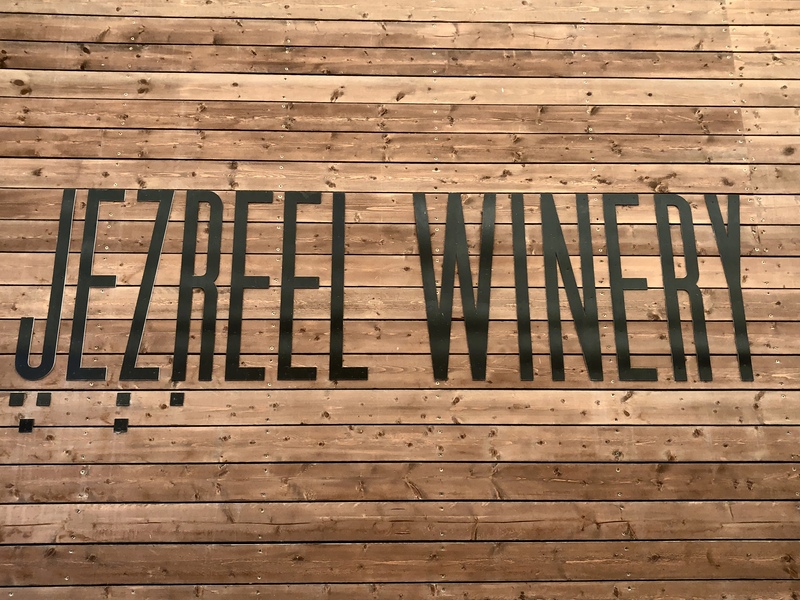 We learned some super interesting facts about the wines in Israel; such as the fact that many of the wines are kosher – meaning that only religious Jews can be involved in its production. It has to be sealed twice before it can be touched by moderate/non-religious Jew. Had we accidentally touched any of the barrels below, the wine would have had to be discarded immediately. They are trying to appeal to not just a Jewish audience and are beginning to export to the UK. If you are in the wine business then I would highly recommend a trip to Israel to try out the wines. One of the red’s I tried at Jezreel was the best red I have had in ages. We based ourselves in a house (via Airbnb) in the hills behind Tiberias overlooking the Sea of Galilee – just south of Golan Heights. Tiberias itself was rather built up and did not have many redeeming features if I’m honest, although we did enjoyed a couple of delicious meals at Avi’s restaurant in town. We also drove to the other side of the lake one evening and ate in the Kibbutz En Gev, which had some tasty food. Our reason for basing ourselves in this area for a few days was that it was well located to explore the northern region of Israel. 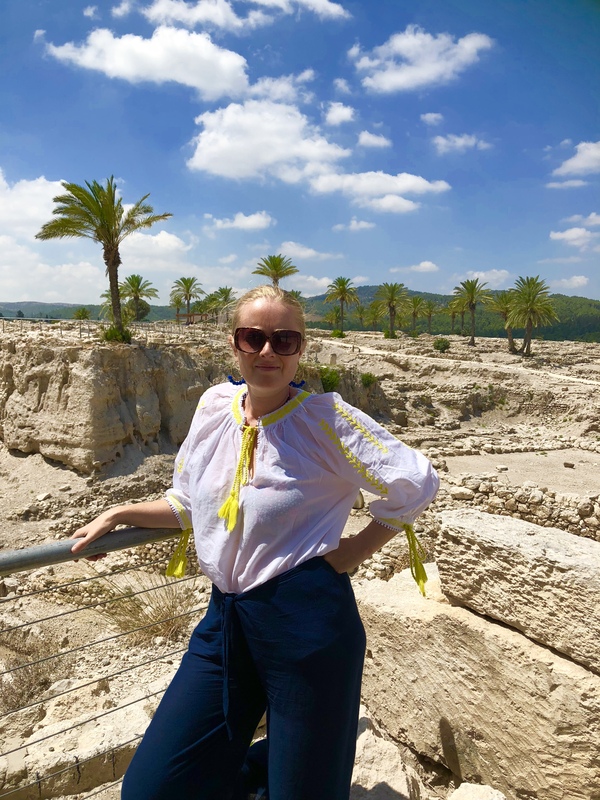 The place also feels very familiar as a lot of the sights we visited are spoken about in the bible stories we were told as children – feeding of the 5,000 with five loaves of bread and two fishes (Tabgha), the sermon on the mount (Church of the Beatitudes). 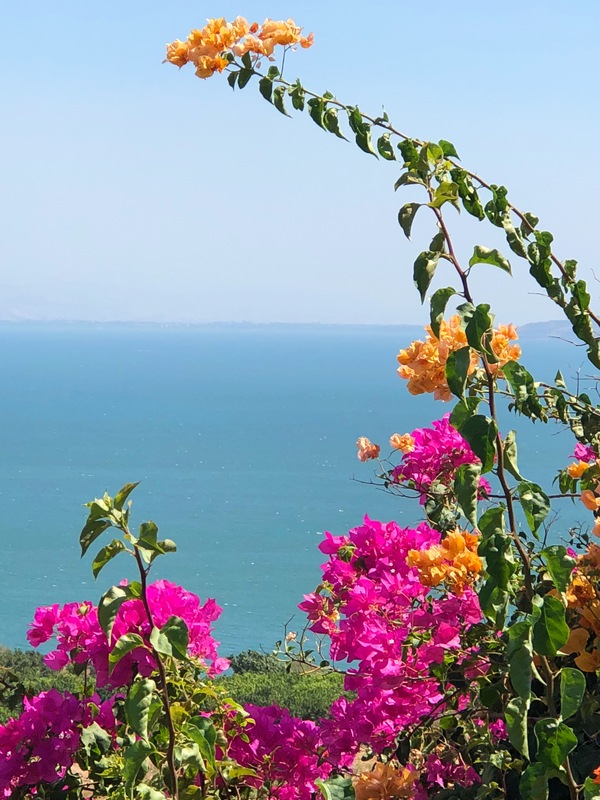 The fresh water Sea of Galilee itself is little changed over the centuries. It still has big waves – this surprised us – beautiful sunsets and fish to catch. We bathed in its cool, refreshing waters every day to cool down after a day of touring. 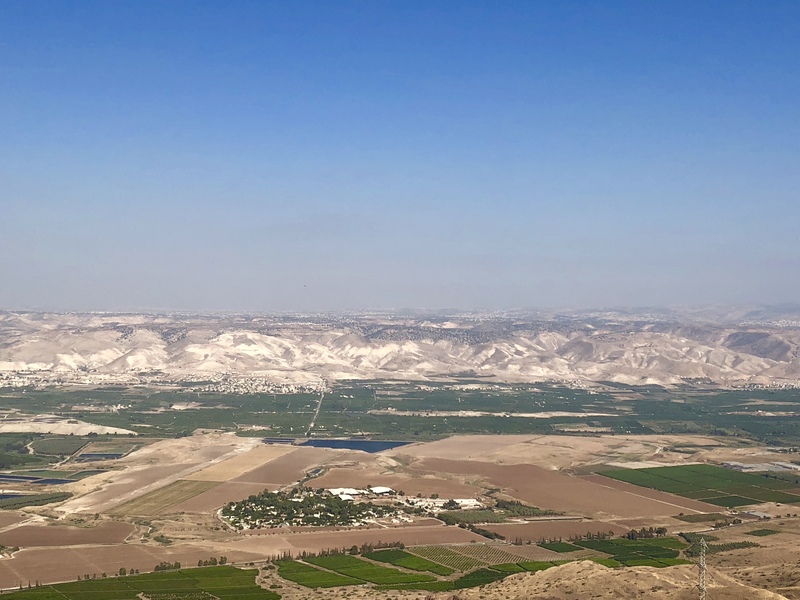 On one day we visited a fascinating archaeological site within Megiddo National Park called ‘Tel Megiddo’ or ‘Armageddon’, as it is known in Greek. During the Iron Age it was a royal city and was of particular importance due to its strategic location overlooking the Jezreel Valley. Some Christians believe this will be the site of the final battle between Jesus Christ and the kings of the Earth who will go to war, as outlined in the Book of Revelation. Interesting stuff, whether you believer or not. After wandering around the heat, the best thing to do is to submerge yourself in cool waters. 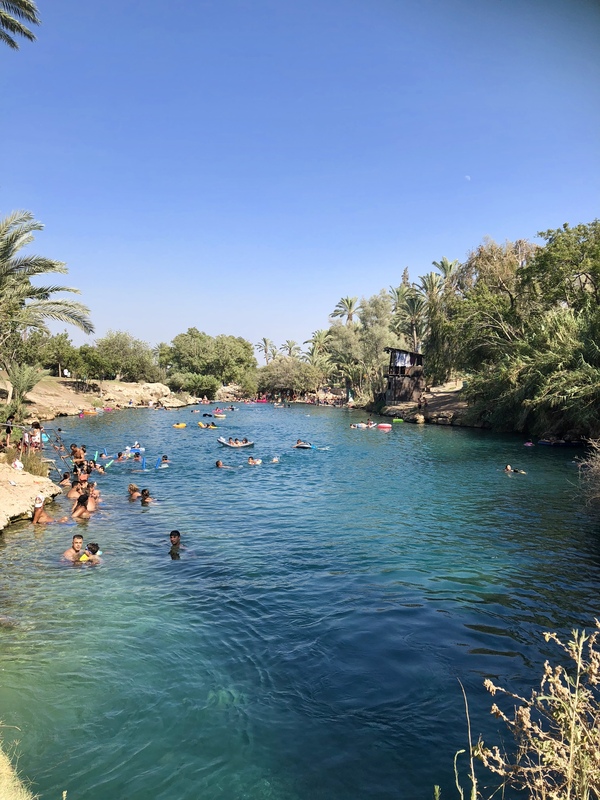 Thankfully there is a national park called Gan Hashlosha, also known as Sachne that is often described as one of the most beautiful places in Israel – a real-life garden of Eden. It’s basically a series of natural spring pools (at a constant 28 degree Celsius year round). After you’ve swam the length of one you get out and climb into the next. Little fish also swim in these pools and have a tendency to nibble your toes if you take too long to get out – you’ve been warned! There were many families enjoying a day out, cooking their own BBQ lunches and swimming in the pools. There is also an archeological museum here, but we spent our times relaxing in the pools instead. 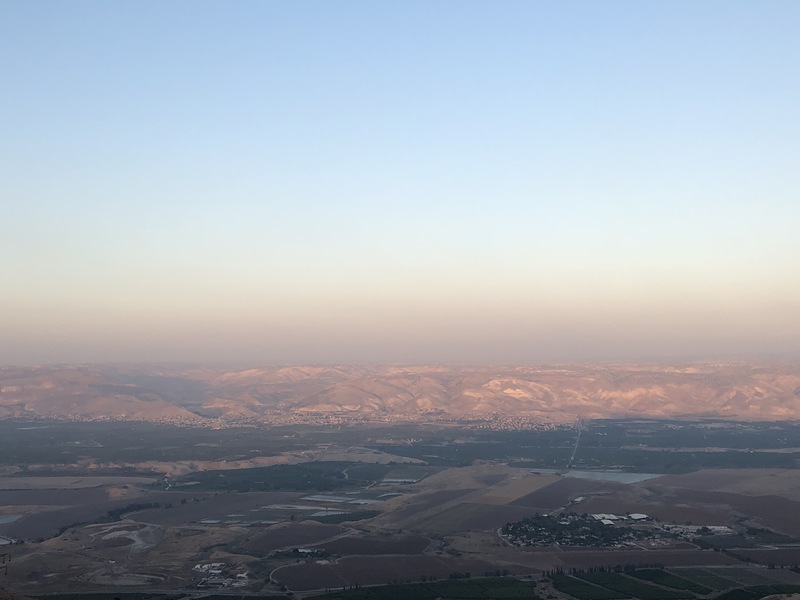 I love a good view, especially an elevated one, so before sunset we headed to Belvoir National Park and drove to the highest peak so we could see the whole of the Jordan Valley, with Jordan in the background. Before and after sunset. Totally stunning. 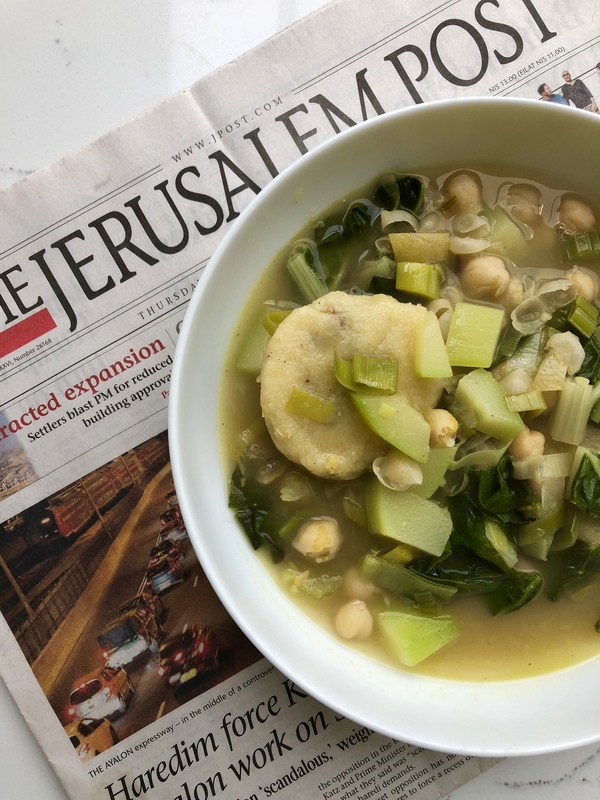 Continuing with the theme that I will incorporate every travel post with a recipe I ate on my travels, today I wanted to show you how to make kubbeh (kubba/kibba), which I mentioned in my post on Jerusalem when I visited Azura restaurant. It’s an Iraqi Jewish recipe that is typically eaten in the winter months, so perfect to eat in the months ahead here in the UK. As I made so many kubbeh – around 24 of so, it made sense to show you two different varieties – one yellowy green and the other red. The kubbeh taste the same, but the soup they are in is very different. The red is sweeter from the beetroot and the yellowy/green is more zingy from the lemon. 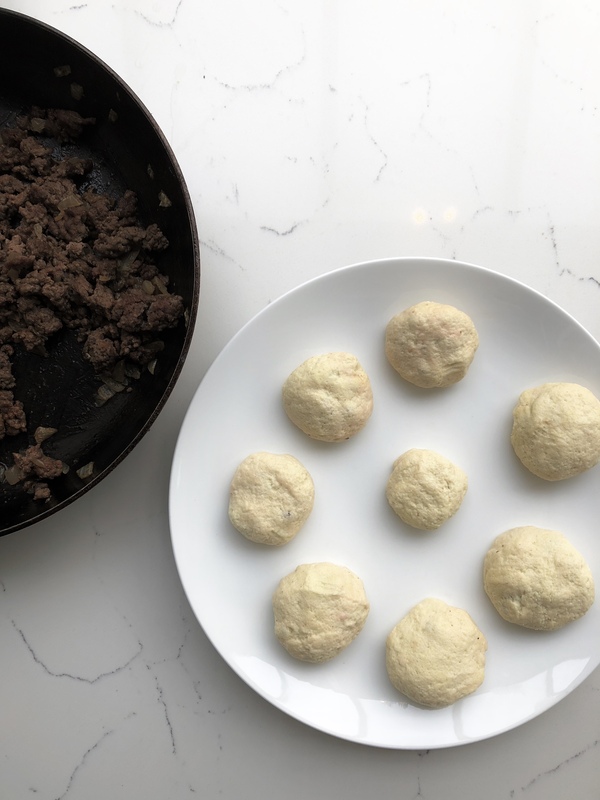 What you can do is freeze the patties, pre-cooking, and then use them at a later date if you don’t want to cook them all in one go. Kubbeh is made with semolina (although I have seen some recipes with 50% plain flour and 50% semolina). They are then filled with minced beef with a hint of cumin, paprika and onion. You can add touch of cinnamon should you wish or perhaps pine nuts; you can be as inventive as you want. Heat the oil in a pan and add the onion and garlic. Gently move around the pan to soften for 3 minutes before adding the mince, followed by the spices and salt and pepper. Leave to bronze for 10 minutes, moving the mince around the pan from time to time. Place to one side to cool whilst you prepare the semolina. In a bowl add the semolina and salt and then gradually add the water. Use your hands to help bind the semolina together so that it comes together like one large play-doh ball. Leave to chill in the fridge for 10 minutes and then remove from the fridge and break off a golf ball size portion of the dough. Flatten the dough out in your hand and then place a teaspoon amount of spiced beef into the centre. Bring the sides up towards one another and cover so that the semolina dough completely covers the beef. Pat into a round shape and place on a plate whilst you complete the rest. In a deep pan heat the olive oil and add the white onion and all the spices and salt and pepper. Move around the pan to soften for a couple of minutes before adding the tomato puree. Add the water and lemon juice and mix into the ingredients. 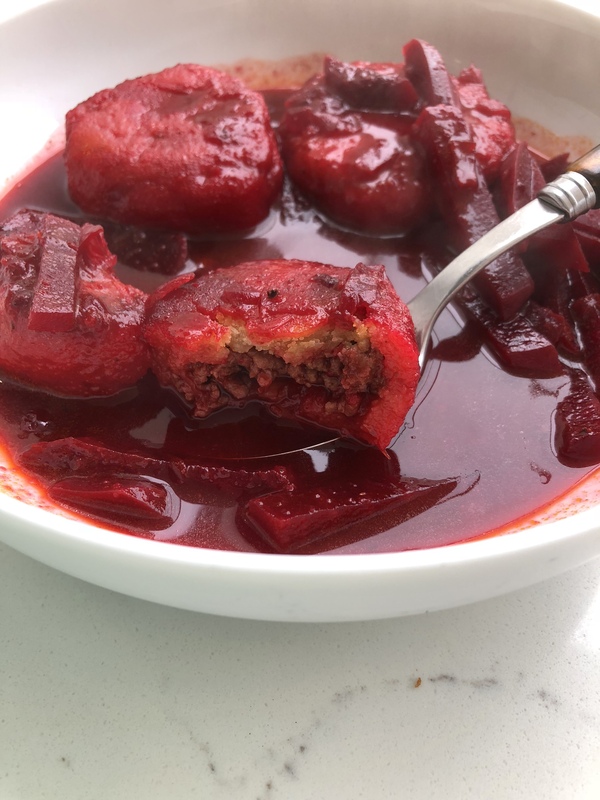 Place the beetroot in the pan and gently submerge half the kubbeh. Keep on a low simmer for 20-30 minutes, stirring a few times so that the kubbeh don’t stick to one another. In a separate saucepan, heat the oil and then add the leak and celery and let them soften for a few minutes before adding the spices. Add the preserved lemon, chicken stock, chickpeas and water. To serve add some fresh lemon – quartered and some fresh parsley and mint.